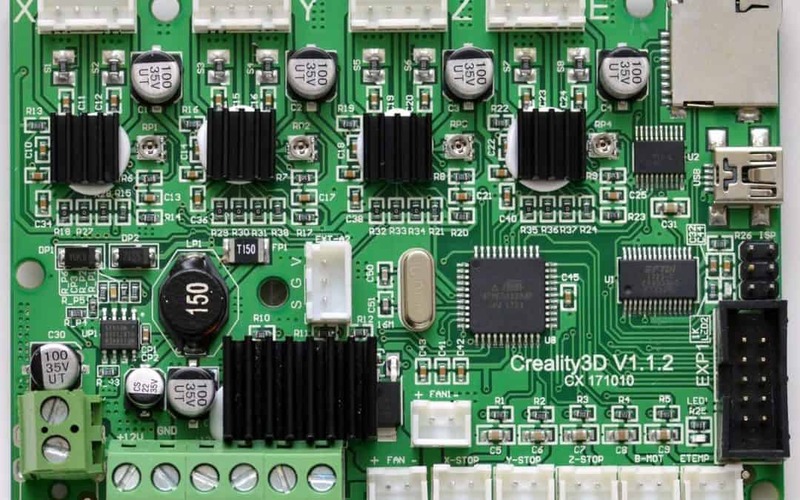 We are ready to fix your CR-10S V2.0/V2.1 and CR-10 V1.1.2/V1.1.3 boards. We are using VERY high-quality parts on these to get the voltages in spec and have spent the last 5 days working and testing. 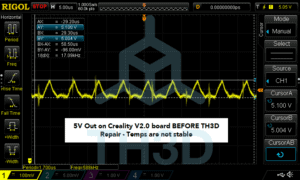 If you are not familiar the issue is that temperatures on E0 and the Bed are unstable which causes PID tuning to fail and even heating failures. Every board will be FULLY tested before and after repair then sent back out to you. Right now we have only US service but are talking to a UK guy to get them on board for the UK people. 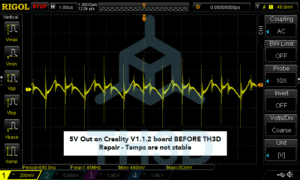 Creality has confirmed and we even have an internal memo about the V1.1.2 boards and their “fix” but they are STILL using sub-par caps to do the repair so it will not be as stable as our repair. V1.1.2 board repair will be posted to the TH3DStudio website (www.TH3DStudio.com) tomorrow and the V2.0 repair service is already up. Cost is $20 + shipping (our system will add the return shipping on at checkout) for a BARE BOARD. 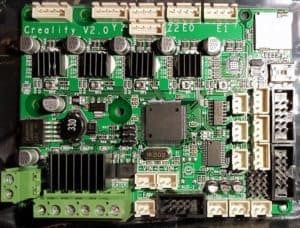 If you want to send the entire control box in it is $40 + shipping (this costs more because we need to remove the PSU and board to repair then reinstall). 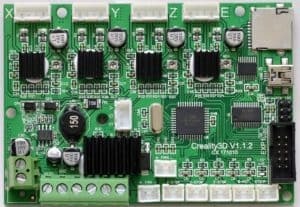 Below are the pics of the before and after on the 5V rail of the board. 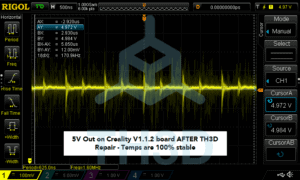 Temps are 100% stable on BOTH boards with our repair.